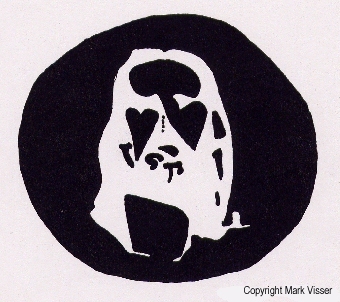 Look at the four dots in the middle of the drawing for about 20 seconds. Close your eyes and concentrate on the circle of light. Continue looking at the circle. Personal use No permission is required to reprint a single copy of this page if used for personal devotions. Do not reprint and/or distribute copies to others. Copy to other web sites Do not copy this page or the image to other web sites without written permission. Submit your request, including URL where this page will be placed, by clicking here.